The basic structure of the RadGauge, regardless of its type (Radial or Linear) consists of a Scale and a Pointer that shows the value on that scale. 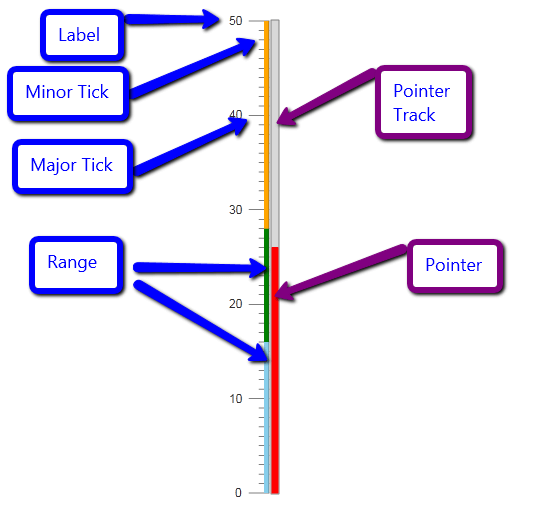 The scale contains the Major and Minor Ticks that mark the values, along with the Labels for them. In the scale the developer can define separate Ranges in order to colorize them differently. The Pointer has a Cap (Radial) or Track (Linear) that allow for customizing its appearance. 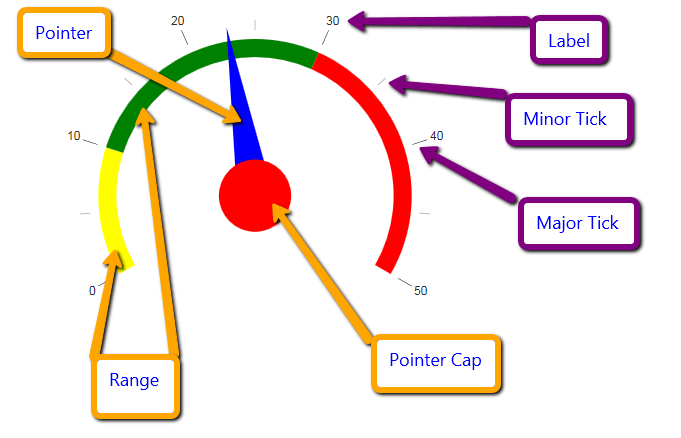 The sections and images below show these elements on simple gauges for visual clarity.